The Impossible Foods burger sun-dried tomatoes, cavolo nero (or lacinato kale) and a sun-dried tomatoes mayonnaise on a poppy seed bun will make its debut today at Vina Enoteca, the first Silicon Valley restaurant to serve the scientifically engineered veggie burgers. The goal is to not only make a veggie burger that tastes good, but one that is environmentally sustainable and ultimately will change the way we consume meat. This entry was posted in Corporate Green, Food and tagged beyond burger, Impossible burger, meatless meals, Palo Alto, plant based, sustainable, vegan, veggie burger, Vina Enoteca on July 13, 2017 by Jacqueline Smith. Great info, sign up for the Newsletter! This entry was posted in Food and tagged Ordinary Vegan, recipes, Seitan, vegan, vegetables on January 26, 2015 by Jacqueline Smith. Love is certainly in the air. While spending time with your significant other, treat them to a healthy indulgence of Mary’s Gone Crackers Love Cookies. These cookies are deliciously sweet, vegan cookies are made with love and a blend of healthy, wholesome ingredients including high omega-3 chia seeds. And they are organic and gluten-free! Available in four yummy varieties, Chocolate Chip, Double Chocolate,“N’Oatmeal”® Raisin (no oats!) and Ginger Snaps, there is a flavor to satisfy any craving. GINGER is my favorite…..
Love Cookies…. yes I do. Especially tummy-settling, ginger cookies. 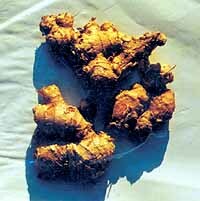 One of the most important aryuvedic remedies: Ginger (Zingiber officinale)…improves appetite and digestion. It stimulates the nervous system, the heart and the circulatory system. It reduces pain and is effective for asthma, fever and edema. It relieves palpitation of the heart, and tympanitis. and it has a grand reputation as an aphrodisiac. This entry was posted in Corporate Green, Food and tagged Chocolate Chip, Double Chocolate, ginger cookies, healthy, less allergen, Love Cookies, Mary’s Gone Crackers, no gluten, organic cookies, tummy-settling, vegan, “N’Oatmeal” Raisin on January 21, 2015 by Jacqueline Smith. Dr. Dean Ornish is founder of the Preventative Medicine Research Institute and author of six bestselling books. The Ornish program was rated #1 for heart health by U.S. News & World Report in 2011, 2012, 2013 and 2014, and is the first program based in lifestyle change to ever be covered by Medicare. Dean has been appointed by two U.S. Presidents to White House health advisory boards. He was chosen by Forbes as one of the seven most powerful teachers in the world. Dean will explain the scientifically proven strategies that use diet, exercise, stress reduction, and love to extend and transform your life. Find out more about Dean’s work by clicking here. This entry was posted in Food, Garden /Plants, Health and Beauty and tagged breakfast, Dean Ornish, diet, exercise, healthy living, Ornish program, recipes, stress reduction, vegan on April 30, 2014 by Jacqueline Smith. Good News! We are showing MAY I BE FRANK at the College of San Mateo campus on Tuesday April 23 at 6:30pm. Come to Building 5 (the brand new Health & Wellness building, room 202). This is part of our community outreach program for OPEN HEART YOGA which is our Yoga Teacher Training group at CSM. The movie is Free, we will have snacks and prizes, it’s open to all! Ex-addict Frank Ferrante is a 54-year-old, overweight Sicilian-American from Brooklyn with hepatitis C, some bad habits and an appetite for women. MAY I BE FRANK, a documentary to be released February 26th on DVD and video on demand (VOD) from Cinema Libre Studio, captures Frank’s transformation after he stumbles into the vegan Café Gratitude in San Francisco, and over 42 days, begins a life-changing journey coached physically, emotionally and spiritually by three twenty-something staff members on the path to enlightenment. The film has gained significant notice as a self-distributed title (via a web store and events only.) It has screened at over 120 “transformational” events across the country. And, Café Gratitude, with locations in Hollywood and Venice, was just named one of The Hollywood Reporter’s top 25 places to lunch! And wait until you see Frank….. The film is quirky and upbeat, but truly inspirational. Frank’s “that guy;” but his transformation—losing over 110 lbs, and becoming a life coach—will connect with many struggling to change their lives, get skinnier, be healthier, start a new life. He’s lost 110 lbs and kept it off, but not without set-backs. It is a real-life drama. This entry was posted in Compost, Events, Food, Garden /Plants, Health and Beauty, Yoga and tagged Cafe Gratitude, documentary, Foodies, free from harm, great food, May I Be Frank, Richard Oppenlander, vegan on February 25, 2013 by Jacqueline Smith. Rosie has made a “nest” in our bed and is napping with a smile. She usually naps in her bed, but this was a special occasion. While not conclusive scientific testing, you can take a look at V-Dog’s website and make your own conclusion about their high quality product. The V-dog representative’s are local in California and offer free shipping on their complete vegetarian dog food. And if you don’t know about the Melamine scare, you can read more about it on Marion Nestle’s blog or her book, Pet Food Politics. This entry was posted in Corporate Green, Food, Health and Beauty and tagged dog food, Rose the hound, vegan on November 16, 2009 by Jacqueline Smith.